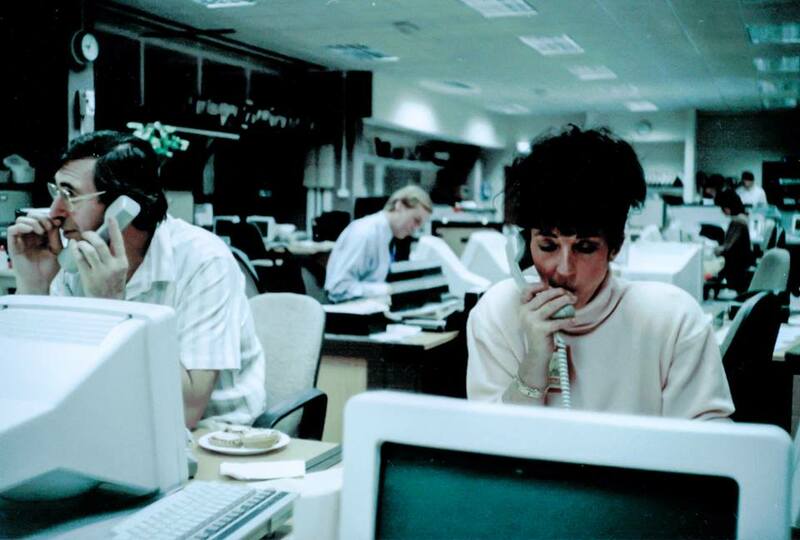 The Midlands Today newsroom at Pebble Mill from the early nineties. Cathy Houghton in the foreground and David Davies in the background, at BBC Pebble Mill, Birmingham. The computer system was BASYS, which Cathy apparently excelled at!